Whiskey Row is one of the key destinations in Prescott. From a historical perspective, it is unrivaled. From a fun perspective – it cannot be beat! Plenty to do and see on Whiskey Row! Enough fun to fill an entire day, from sun-up to sun-down. What can I see/do on Whiskey Row? Bars: There is a reason this is called Whiskey Row, after all. Grab a drink at one of the many bars located along the block, or do a little impromptu bar-hopping and experience as much of the area as possible. Dining: Grab a coffee at one of the coffee shops or a full meal. Whiskey Row could nearly fill an entire afternoon just in itself. Shopping: Unique shops line this stretch of road – art galleries, antique shops and original Prescott fashions. History: This is one of the oldest areas of Prescott. Originally burned to the ground in 1900, it was promptly rebuilt using as much of the old materials as possible. It’s not unusual to find a wall that appears to be made up of charred brick. 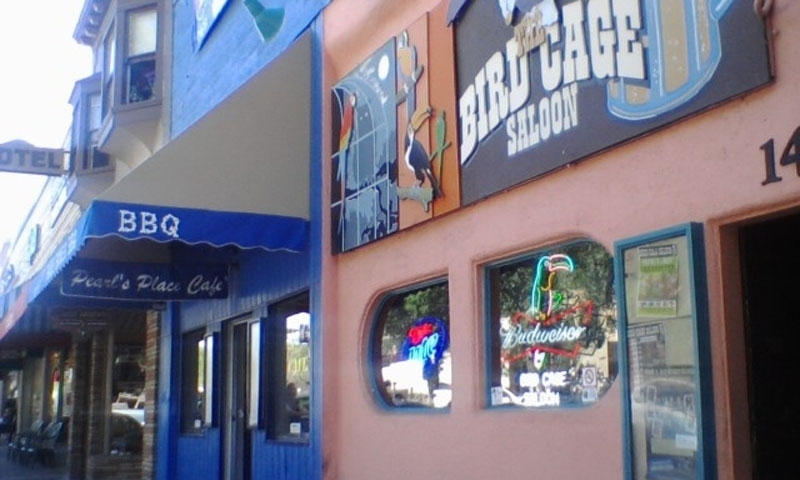 Whiskey Row is located in downtown Prescott and is comprised of the 100 block of South Montezuma Street. When is The Row open? Each of the shops, bars and restaurants on Whiskey Row keep different hours throughout the year. Feel free to call the shop, restaurant or bar directly, or the Chamber of Commerce at 928-445-2000 with any questions you might have.